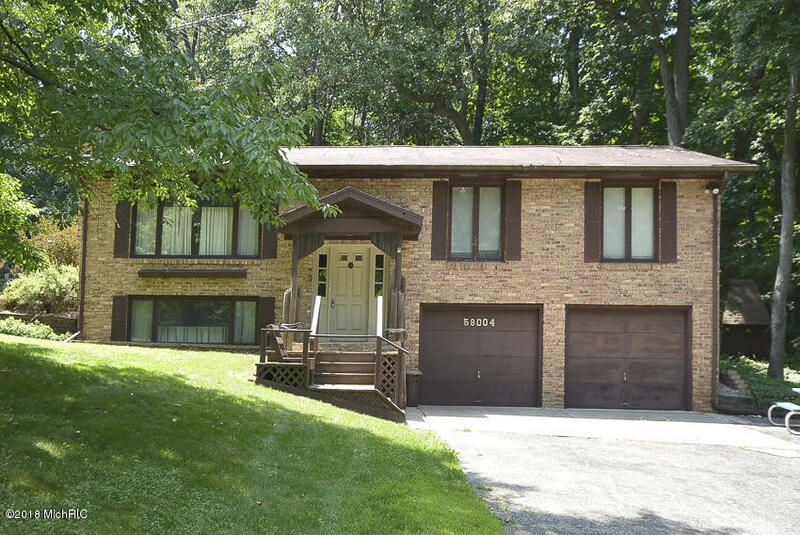 Conveniently located bi level brick house sets on beautiful lot lined with mature trees. The peaceful area boasts room for entertaining inside and out with the ground level deck. Upstairs is the main living space with 3 bedrooms and 1 full bath. The master walk in closet adds additional storage. The lower level has a family room area with entrance for the 2 garage and an office area with storage. Lake Cora access is just down the street as well as the boat launch for Reynolds Lake. Come see what this house has in store for you!